Get fabulous feet for the Summer! Summer is coming, so get your high heeled sandals out of the closet! But wait! Are your feet summer proof yet? If not then I might have a great tip for you! On the 26th and 27th of June, Scholl is inviting all ladies to the Scholl Pop-Up Bar in Amsterdam. At this Pop-Up Bar a true professional is going to prep your feet for the Summer with the Scholl Velvet Smooth Express Pedi. The fun thing is, you don’t have to make an appointment and it is free of charge! When you’re there, you can choose a soothing foot massage, nail care treatment or a fresh new polish! I already had the privilege of getting this treatment and I can definitely recommend it! The Velvet Smooth Express Pedi is equipped with ‘diamond crystals’, which make your feet feel silky smooth. I must admit that I don’t get or do pedi’s that often, but after this treatment my feet felt fresh and renewed. And although it is HEAVENLY(!) getting your feet done by a pro, this tool is also a great ‘at home alternative’. I personally love using it after long day of walking in high heels. 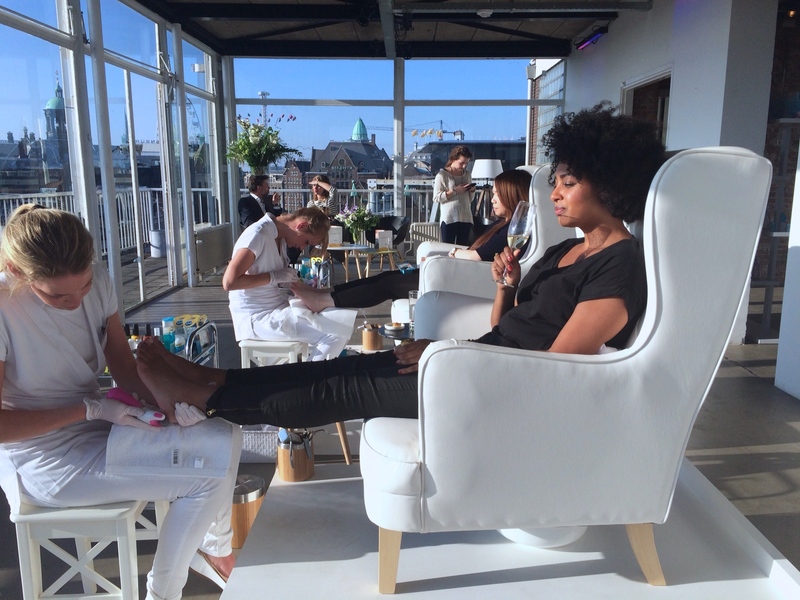 So if you need to jazz up your feet and you’re in the Amsterdam area, get your beautiful behind to the Scholl Pop-Up Bar! Thanks for stopping by again. See you next time!